Oil prices fell by 1 per cent in global markets, giving a leg up to the Indian rupee. 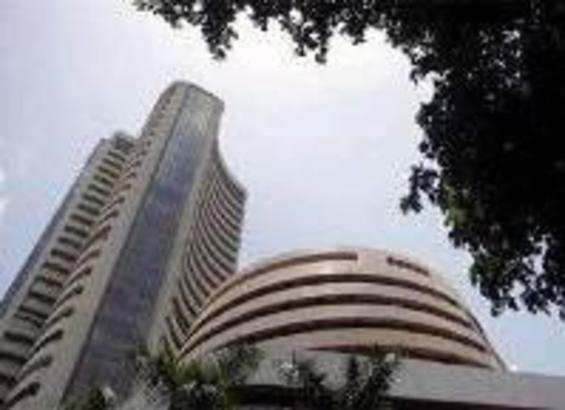 NEW DELHI: Frontline indices Sensex and Nifty trod a shaky road in opening trade on Thursday, tracking mixed Asian cues as investors restricted their bets seeking more clarity on the US-China trade talks that concluded on Wednesday. Investors are on wait and watch mode and holding their bets ahead of crucial December quarter numbers. Bandhan Bank and TCS are the two companies whose number will influence the mood of the market today. After falling about 86 points, Sensex climbed 56 points within the first 10 minutes of trade, taking a swing of 142 points. 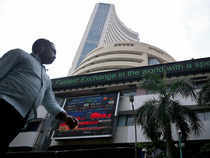 Around 9:25 am, the BSE Sensex was flat at 36,209, while the Nifty index was 11 points down at 10,844. The BSE Midcap and Smallcap indices were outperforming Sensex by trading 0.37 per cent and 0.28 per cent up, respectively, at that time. Asian shares took a breather on Thursday after an extended rally, as markets awaited more news on US-China trade talks that have raised hopes of a deal to avert an all-out trade war between the economic giants, Reuters reported. Oil prices fell by 1 per cent in global markets, giving a leg up to the Indian rupee. Dollar's weakness against it peers on account of increased selling of the greenback by exporters and banks, too, improved the rupee slightly. After opening 6 paise down, the rupee was trading 12 paise higher at 70.35 against the US dollar in early trade today. Tata Motors, YES Bank, NTPC, Tata Steel, ONGC and Infosys were trading among the top gainers in the Sensex index. IndusInd Bank, Axis Bank, Asian Paints, HDFC, Kotak Mahindra Bank and PowerGrid were among the top Sensex losers. Shares of IndusInd Bank declined a day after it posted a 5.21 per cent YoY rise in profit at Rs 985.03 crore for December quarter. The stock fell after several brokerages, including Citi cut its target price on the stock, while maintained the buy recommendation. Credit Suisse has cut FY19E EPS by 12 per cent on the stock. IT heavyweight TCS is set to announce its December earnings today. Centrum Broking expects TCS’ revenues to grow 1.8 per cent QoQ in constant currency (CC) terms and dollar revenues to grow 1 per cent as cross-currency headwind is likely to cut it by 80 bps. “Ebitda margin may be at 28.5 per cent for Q3FY19, which represents a 60 bps improvement QoQ on a sequential basis. We expect EBIT margin for Q3 to come in at 27.2 per cent, up 70bps QoQ,” the brokerage said.